Felix Rosenqvist’s hopes of defending his 2014 Grand Prix de Pau victory were transformed into a case of damage limitation as the FIA Formula 3 European Championship set camp in southern France for the 74th running of the prestigious street race this weekend. Rosenqvist was held back heavily by traffic in both of Friday’s two qualifying sessions, leaving the Swede down in 14th, 9th and 11th places respectively on the grid for the three races – and bringing his previously unbroken streak of 2015 pole positions to an end. With overtaking being notoriously difficult around the narrow street circuit, Rosenqvist was left with the task of trying to salvage as many potentially crucial championship points as possible in the three races. A bold, 220 km/h move around the outside of Thailand’s Alexander Albon yielded fifth place in Race 2, followed up by sixth in Sunday’s Race 3. In total, Rosenqvist bagged 18 points across the weekend, and also set the second-fastest lap of Saturday’s Race 1. 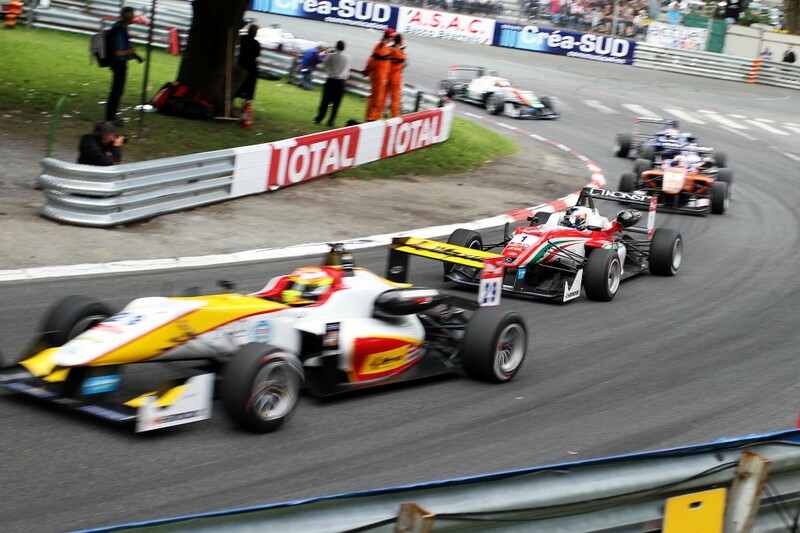 The next round of the FIA Formula 3 European Championship takes place at the ultra-fast circuit of Monza (Italy) on May 29-31. Felix Rosenqvist retains third place in the overall standings, where he is now 54 points behind leader Antonio Giovinazzi (who won Sunday’s Pau finale).